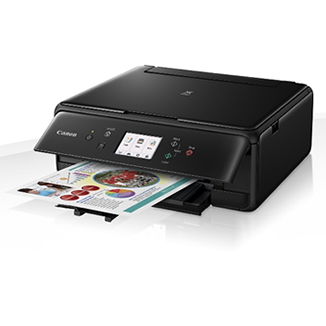 An excellent all-round machine that covers home, home office and photo printing needs in one stylish package. A fantastic machine which earns our best overall printer recommendation. Any home user that wants a printer fit for any task. Photo printing? Check. Normal document printing? Check. 2-sided printing? Check. Scanning & copying images etc? You got it! This isn't to say the Canon TS6050 is perfect, it has its deficiencies, but as an overall package it scores really well in every field, and overall is the strongest printer we've tested for a good while. The only functionality you're missing from a complete package is fax and 2-sided scanning with an ADF (automatic document feeder), plus a card reader for photo enthusiasts. It's rare a home or small home-office printer needs these, it's no great loss, and the remaining functionality you have works flawlessly. The print speed of the Canon Pixma TS6050 is on the slightly lower end of home printers we've tested, with around 7 pages per minute on normal documents and 4 pages per minute with colour and graphic documents. This slows considerably to 3 pages per minute when duplexing, as the printer allows a side to dry before printing on it again. While slow, the quality the printer churns out is (at least to us) worth it. Text and document printing are accurate, with clear, legible text. Photo printing is brilliant for a home printer, more than good enough to frame or stick on the fridge. Colours are rich, business graphics sit well on the page, even skin tones are fleshed out well (see what we did there). If you're more after photos than normal home documents it might be worth spending the extra to get the Canon TS8050 instead. This printer uses an extra colour cartridge, a grey, which makes all of the difference in shadow tones. That's not to say the TS6050 doesn't give good shadow gradients, they're still more than acceptable, but it might be worth spending the extra if photos are your main go-to. The Canon TS6050 takes five cartridges; one dedicated large black for text and normal document printing, then four individual colours for colour printing. 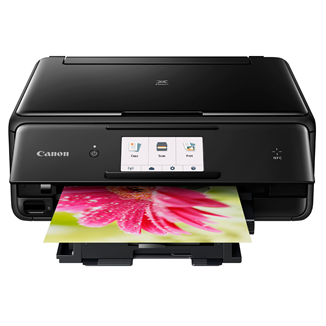 Canon have long used this setup in their home printers and it's a fantastic system giving you good print quality across the board. It also has the advantage that you only replace the ink you use. These cartridges come in two difference capacities; standard or the high capacity, XL options. The standard capacity inks give varying page yields of between 300 and 380 pages, with the XL's basically doubling this to between 500 and 800 pages. As is common with all printer models, running costs are more expensive with the standard capacity inks and should be avoided. The XL inks are better value, giving you a rough cost per page of up to 2p per page (we say rough as it's difficult to calculate running costs in a printer designed to do photos as well as text). One downside of the Canon TS6050 is how much ink it "wastes" each time you send a print through, or turn it on and off. Canon's are notorious for thorough cleaning and initialisation processes to ensure they always run smoothly. This does mean you will use more ink in this printer than others if you turn it on, print one page, then turn it off, each day, instead of printing a few sheets at once. If you print this infrequently/little then you're likely more suited to a budget printer anyway, and we personally find the quality, reliability and overall performance of the Canon to merit this increased ink usage. If you're willing to use compatibles your running cost drops significantly, around 0.6p per page. This puts the TS6050 on par with even the budget prints for running costs! Anyone who wants a fantastic home printer that can do it all. While there are better printers out there for specific requirements (e.g. 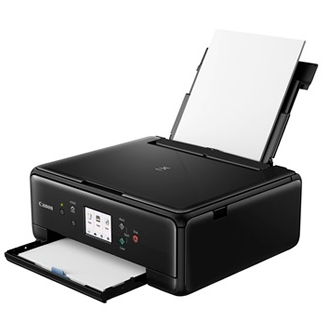 if you want dedicated photos then go to the Canon TS8050, if you want office check our office guide for more suitable printers), but for an all-rounder there's nothing that does this much for such a low price. Bargain!